The summer flounder bite 2018 has been awesome the last few days off of Cape May County,NJ. We caught our 2 man limit in under 2 hours. 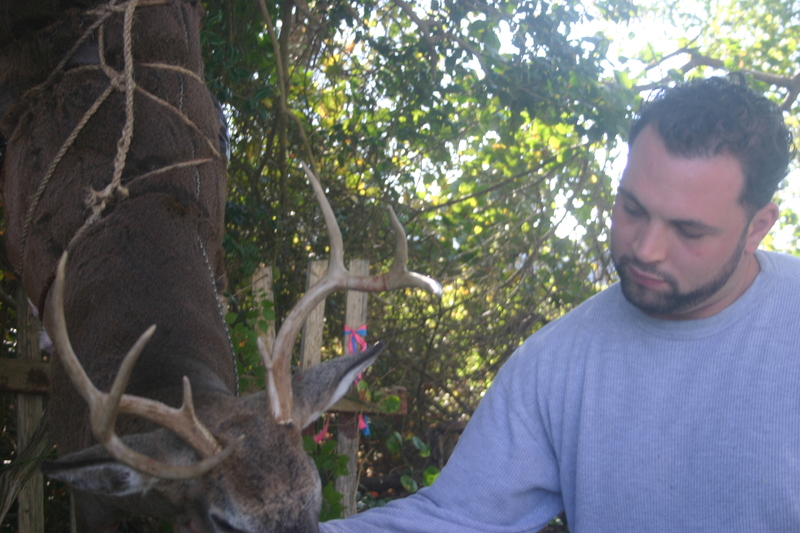 The largest was 24″ . Beautiful summer’s day on the water. Summer weakfish 2018 also known as the game of patience has been good at times. I caught and released this 5 pounder a few days back. I haven’t seen a true tide-runner weakfish (8 pounds and up) to date this season. August back bay flounder fishing is not for those with a short attention span. However , with much effort there is some nice fish to be caught. Don’t try it without high-test bug spray. 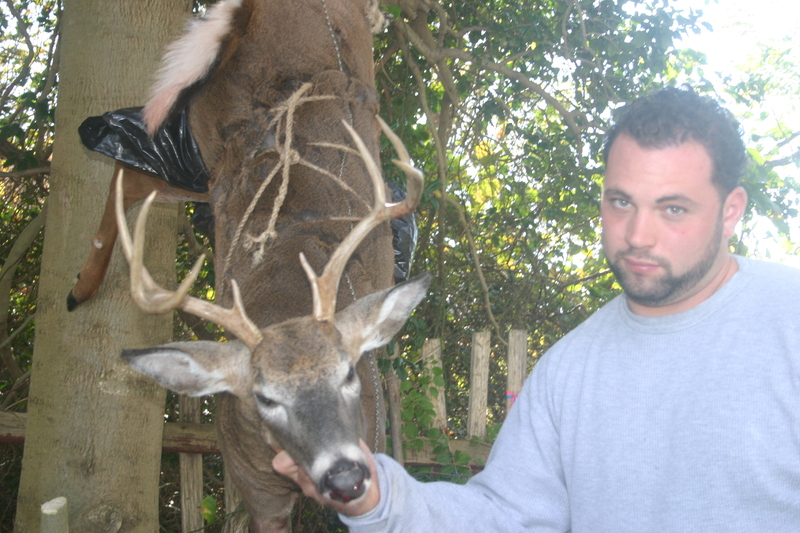 The green heads will eat you alive. Really it is time for offshore fishing. I caught these fish a few days back. A 25″ sheepshead and a 23.5 summer flounder. Really this petty much sums up this springs weakfish action. 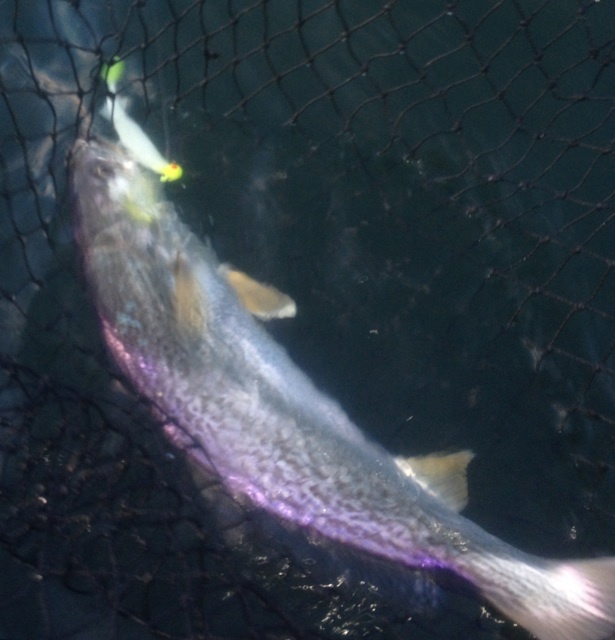 A scratched up thump is a sure tell sign of a fabulous weakfish bite..
Well, the weakfish bite has been pretty awesome this spring . However , the true tide runner weakfish ( 8 pounds plus) have been hard to locate this season to date. 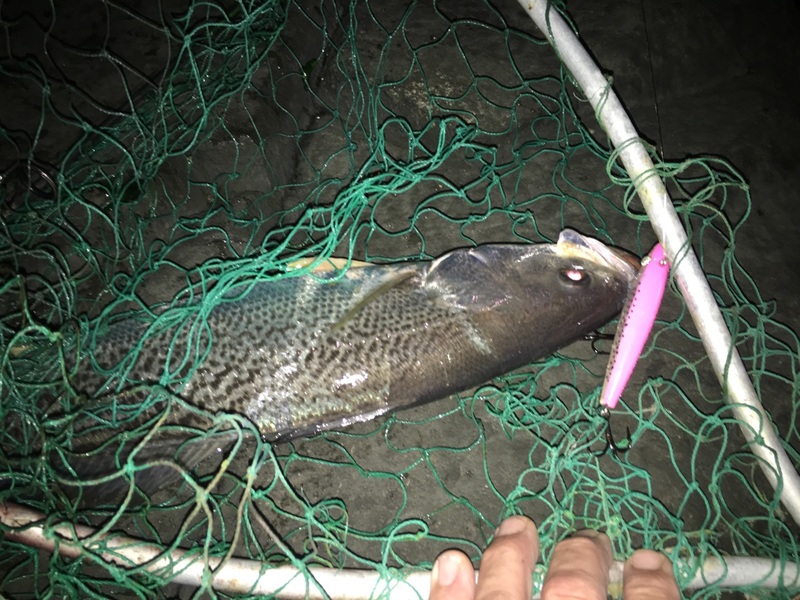 The striped bass beach bite has been excellent for the guys fishing the night tides. 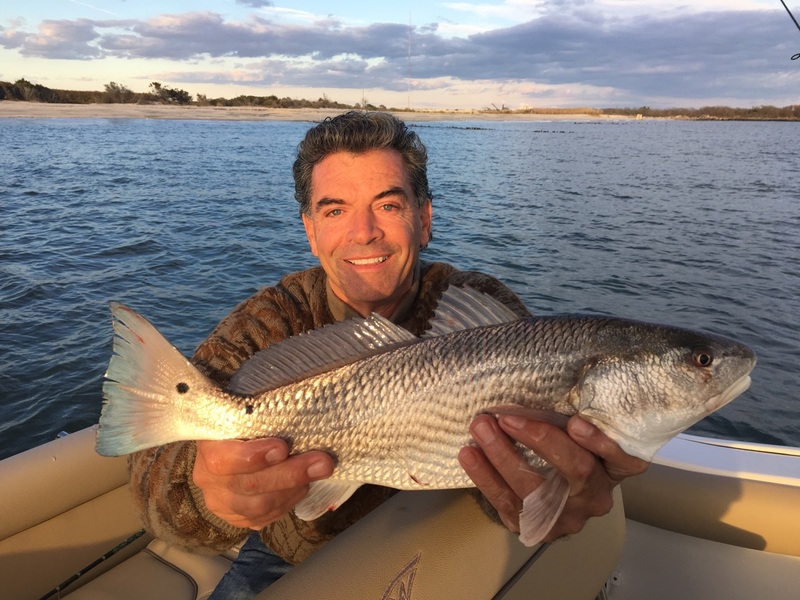 Numorus 40″ stripers have been caught along with a good number of black drum . I have had some respectable size stripers while targeting weakfish as well. The Summer flounder action is also looking good. An historic Cape May goody for weakfish a bucktail and purple worm. 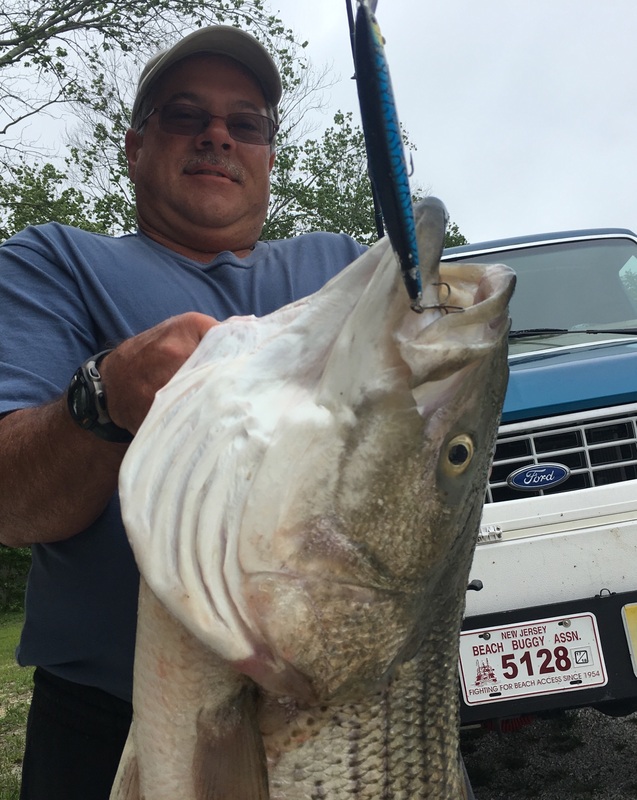 This has been my hot lure for this season so far..
Captain CJ Polhamus is zeroed in on trophy size Striped Bass right here in Cape May County, NJ.. Striped bass fishing in Cape May is far from it’s peak. Most fishermen and charter fishing operations have moved north due to tough fishing conditions. 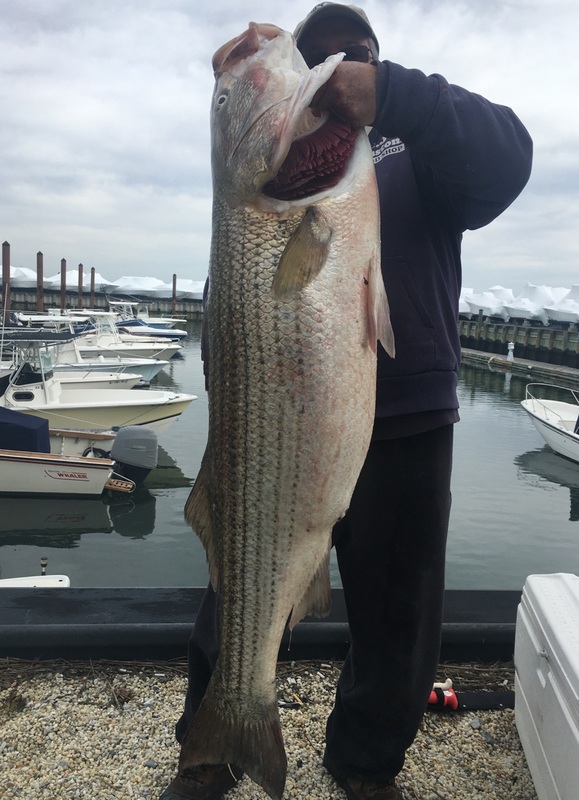 However, those with patience coupled with a good skill set can still catch trophy class striped bass from Cape May waters. His crew limited out today. Including Ed Teise who boated 40 pound plus bass on light spinning gear. So refreshing New Jersey Speckled sea trout bite turns on. Congrats to Ed Teise for targeting and catching New Jersey Speckled sea trout. Regardless of the fact that the conditions needed to catch them have been extremely limited during the 2017 fall season. 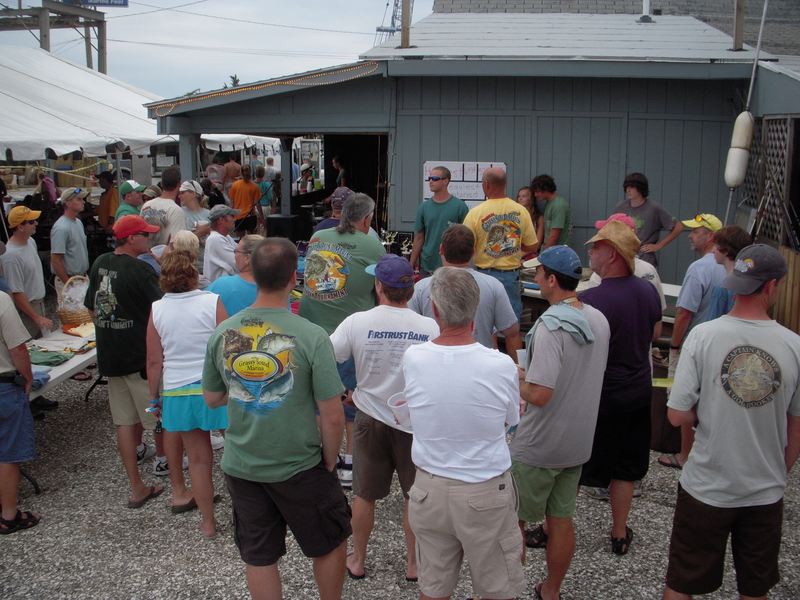 Saturday July 15, we fished the Duke of fluke flounder tournament for the first time. We ended the day with 5 keepers. Dayna Townsend caught the largest one. 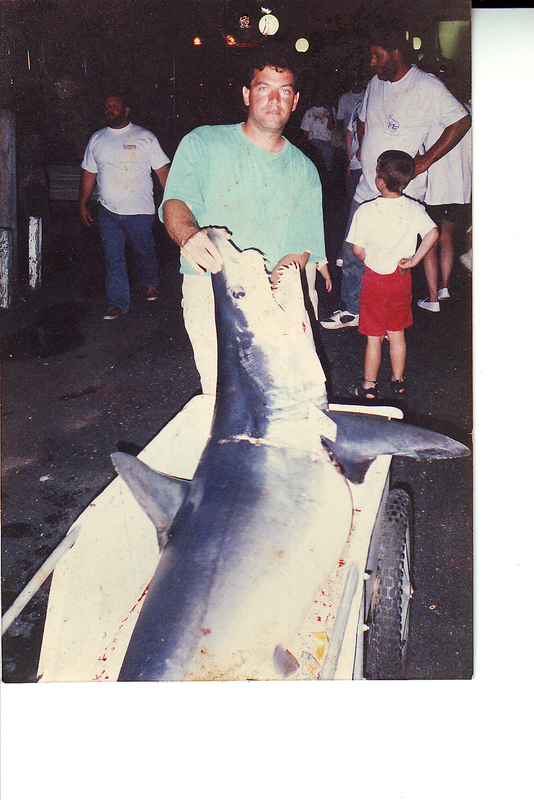 We caught all of our fish in the waters located in the sounds of Cape May co. , NJ. Dayna’s summer flounder held for first place in the women’s division, she also took the Calcutta money home.In addition she was crowned 2017 duchess of fluke. We fished the Grassy Sound Marina 2017 summer flounder tournament on the 24 of June. We had a memorable day on the water, followed by an excellent barbecue and live entertainment. Congratulations to all the winners! We caught a cooler full of flounder. However, we got bumped out of the winners circle this year.However, Ty McDermott did capture the win for the youth division with his doormat summer flounder. 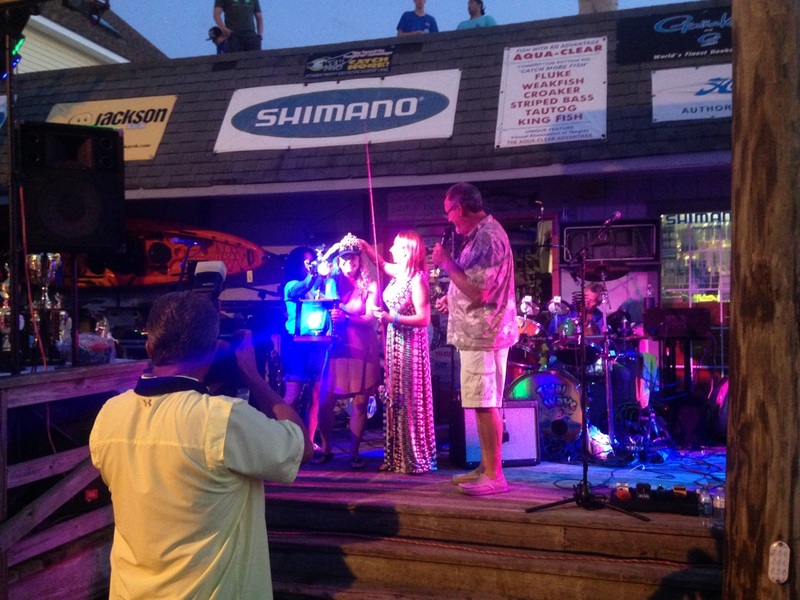 The Avalon fishing tournament and others official recognize the winners the following season/year. A few of the largest weakfish caught on the east coast, 2016. Bill Collins, Ken Mcdermott , Ed Tiese . Ed and bill, are also listed in the top 10 Angers , in the Fishermen Magazine’s tournament. Last nights tide-runner 27.5 “, I released this one. 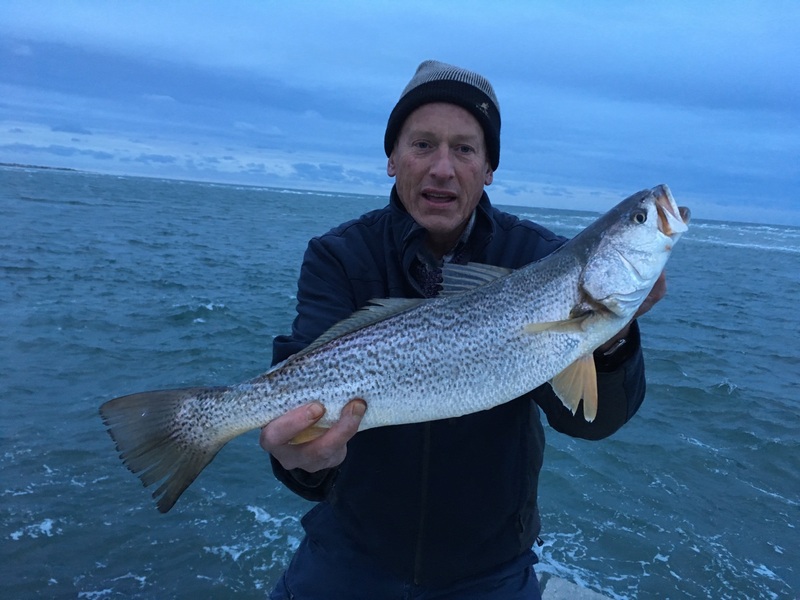 Ed Tiese released this tournament qualifying class weakfish last week. He is holding out for a first place contender. (10 plus lbs.) He placed second during the fishermen magazine’s coast wide tournament last year. The SSCF staff annual flounder tournament caught a good day Saturday. To even the the competition somewhat everyone had to fish from a rental boat. 18 keeper flounder were boated Saturday. CJ Tomlin won the tournament with a 4 plus pound flounder. However,Cj was able to land this impressive striper today.